OFS has a wide selection of beautiful, durable faux leathers. Faux leathers are becoming the upholstery choice for many businesses and public institutions. In the past imitation leather has been seen as less durable and less attractive than genuine leather. Today’s new faux leathers are making that image of imitation leather a thing of the past. Contemporary faux leathers are durable, soft, and attractive. They come in a wider range of colors than genuine leather does and are excellent for many applications. OFS now carries Ultrafabrics, a faux leather brand which is ideal for use on furniture that will receive heavy wear. It is perfect for reception rooms, conference rooms, offices, museums, libraries, universities, churches and other public places. It is also so beautiful to look at and wonderful to touch that it is great for the home as well. Ultrafabrics are also designed for outdoor use. They are environmentally friendly and contain no PVC, no POPs, no PBDEs, and no HFRs and they meet the most stringent VOC standards. The Ultrafabric Brisa collection is ventilated. It breathes. Brisa is suitable for marine use and other outdoor applications as well as for indoor use. Ultrafabrics are available in many stunning hues, ranging from earthy tans, browns, and blacks, to lush blues and greens, and stunning reds and yellows. All are easy to care for. Simply wash the surface regularly with soap and water. Stains can be removed with a mild alcohol-based cleaner. The Ultrafabrics Promessa collection is anti-microbial and water-resistant. It also is great for outdoor use and is perfect for indoor use, especially in medical offices. Ultrafabrics Ultraleather has the beautiful look and feel of leather, but does not need the special care that leather requires. Like the Brisa and Promessa collections, Ultraleather fabrics are suitable for both outdoor and indoor use and can be washed with soap and water. 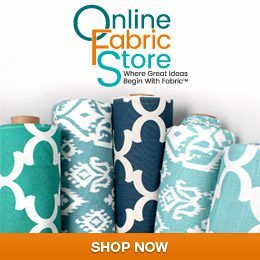 OFS is proud to carry 190 different Ultrafabric fabrics. There is one to suit every taste.